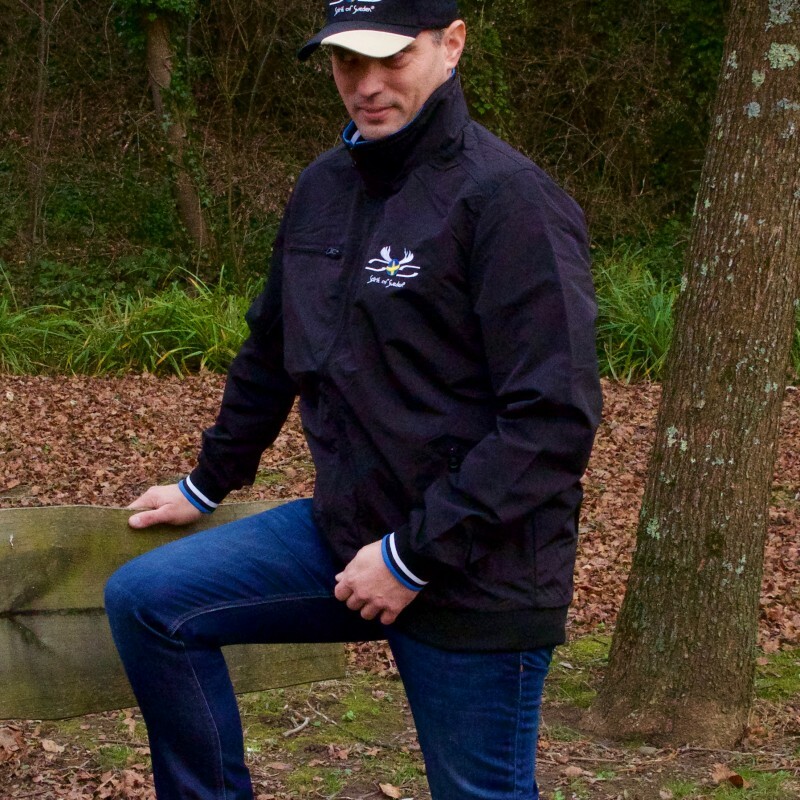 2 zipped pockets in front. Interior ribbed collar with contrasting stripes. Bottom of garment in plain edge. Ribbed sleeve bottom with contrasting stripes. 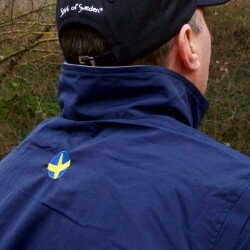 Embroidery Spirit of Sweden® logo on the heart. Swedish flag pastille at the bottom of the collar on the upper back. Colors: black + white + blue, navy + white + gray blev.